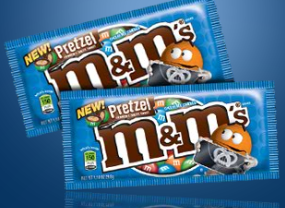 FREE Sample of M&Ms Pretzel is Back! If you missed it last week, the M&Ms Pretzel sample is back! Allow the M&Ms Preztel application access to your Facebook profile, and you’ll be able to register for a FREE sample of new M&Ms Pretzel.